I feel like sometimes potatoes really get a bad rap. I always hear people saying how they don't like to "eat all those carbs" or that they are "just too heavy for their liking." Well fine then, don't eat potatoes, but I must say... you really are missing out. I have never heard anyone speak that way about cupcakes, muffins or rice... yet those are heavy in carbohydrates too! Let's give potatoes some love this year and prove to everyone that even potatoes, when not smothered with butter and sour cream, can be extremely healthy and flavorful. This recipe comes to you from the one and only Barefoot Contessa. That woman has really taught me to scale it down sometimes when it comes to spices and ingredients. Sometimes you just can't beat fresh and simple ingredients. Preheat oven to 450 degrees. 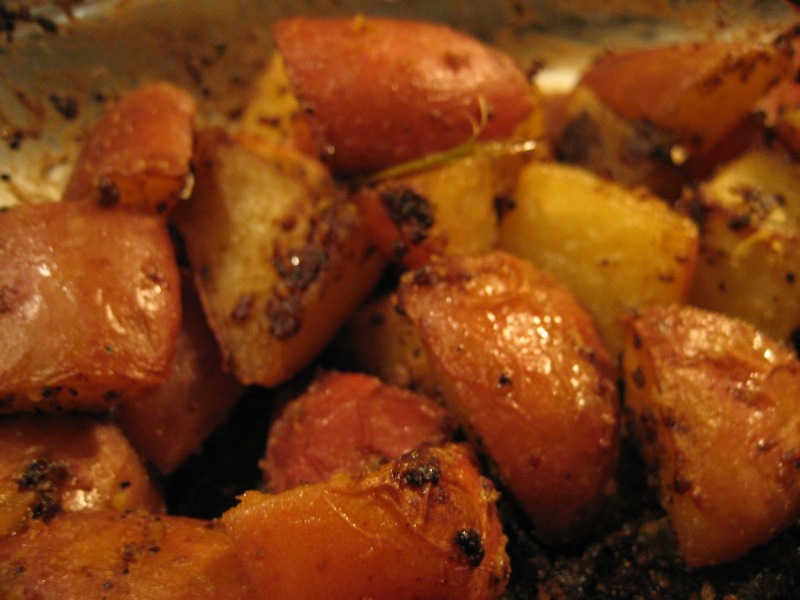 Scrub and dry potatoes, slice into wedges, and place on a rimmed baking sheet or in a baking dish. In a small bowl, stir together olive oil, whole grain mustard, salt, pepper, and parsley. Pour over potatoes, and toss to coat. Bake in preheated oven 30 - 40 minutes, until potatoes are soft when pierced with a fork, and are crisp around the edges. Remove from oven, let cool slightly, and enjoy! Yeah... I know... again... as Ina would say, "How easy is that?" What's your HEALTHY potato recipe? Please share! !